Individual and colony-level foraging behaviors were evaluated in response to changes in the quantity or nutritional quality of pollen stored within honeybee (Apis mellifera L.) colonies. Colonies were housed in vertical, three-frame observation hives situated inside a building, with entrances leading to the exterior. Before receiving treatments, all colonies were deprived of pollen for 5 days and pollen foragers were marked. In one treatment group, colony pollen reserves were quantitatively manipulated to a low or high level, either by starving colonies of pollen or by providing them with a fully provisioned frame of pollen composed of mixed species. In another treatment group, pollen reserves were qualitatively manipulated by removing pollen stores from colonies and replacing them with low- or high-protein pollen supplements. After applying treatments, foraging rates were measured four times per day and pollen pellets were collected from experienced and inexperienced foragers to determine their weight, species composition, and protein content. 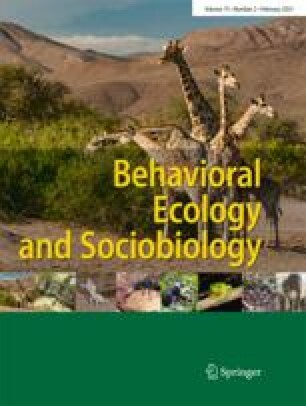 Honeybee colonies responded to decreases in the quantity or quality of pollen reserves by increasing the proportion of pollen foragers in their foraging populations, without increasing the overall foraging rate. Manipulation of pollen stores had no effect on the breadth of floral species collected by colonies, or their preferences for the size or protein content of pollen grains. In addition, treatments had no effect on the weight of pollen loads collected by individual foragers or the number of floral species collected per foraging trip. However, significant changes in foraging behavior were detected in relation to the experience level of foragers. Irrespective of treatment group, inexperienced foragers exerted greater effort by collecting heavier pollen loads and also sampled their floral environment more extensively than experienced foragers. Overall, our results indicate that honeybees respond to deficiencies in the quantity or quality of their pollen reserves by increasing the gross amount of pollen returned to the colony, rather than by specializing in collecting pollen with a greater protein content. Individual pollen foragers appear to be insensitive to the quality of pollen they collect, indicating that colony-level feedback is necessary to regulate the flow of protein to and within the colony. Colonies may respond to changes in the quality of their pollen stores by adjusting the numbers of inexperienced to experienced foragers within their foraging populations.